KUANG (Jan 9): Gamuda Land plans to launch its 810-acre Gamuda Gardens township development soon after the Chinese Lunar New Year. Gamuda Gardens is a 15-year development project located in Kuang, Selangor with a gross development value (GDV) of over RM10 billion. “We target [to launch the first phase] right after Chinese New Year. [The first phase] will comprise double-storey terraced houses with built-up sizes of 20ft by 70ft,” said chief operating officer Ngan Chee Meng. “They will be located close to the main entrance of the township,” Ngan told TheEdgeProperty.com today after the official opening of a new 3.1km access road at the Kuang Sistem Interchange at the North-South Expressway (NSE) which will cut travel from Kuala Lumpur to Kundang by 10km. It will also provide a direct link to Gamuda Gardens. The selling price for the homes will start from RM700,000 onwards. “I think this is very affordable if you have seen what we have been doing [on the master planning]. Around this area, other projects are selling around RM680,000 but they do not have such master planning and facilities. I don’t think there is any other project with a similar master plan in this area,” he said. He added that the first phase of Gamuda Gardens consists of about 200 units. The developer is planning to launch three to four phases of the development this year, depending on market responses. Built on a natural undulating terrain, Gamuda Gardens offers lifestyle and nature living in a satellite township. 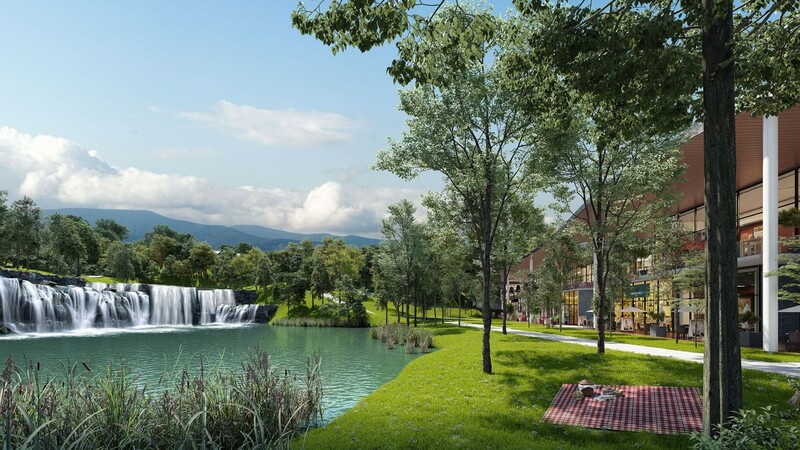 It features five cascading lakes and a waterfall in a 50-acre park, a mixed terrain cycling trail and a Waterfront Village. The township is located right at the intersection of the KL-Kuala Selangor Expressway, NSE and Guthrie Corridor Expressway. “With direct access from the NSE, the travel distance and time from the capital will be reduced by about 10km or 15 minutes. We are happy to declare that the road will be open for public use from today,” said Gamuda Land executive director Datuk Abdul Sahak Safi at the official opening. “We are currently planning for a city centre within Gamuda Gardens, offering various retail, business and commercial hubs and which is expected to boost the growth of the entire north Selangor area,” he added. The event was officiated by Minister of Works Datuk Sri Fadillah Yusof and Malaysia Highway Authority chairman Datuk Noor Azmi Ghazali. The event also saw Gamuda introducing its new Industrialised Building System (IBS) facility. Located in Sepang, the plant is the first fully automated robotic IBS plant in Malaysia. Its production process is controlled by Building Information Modelling (BIM) and the integrated Centralised Data Environment platform. “Gamuda’s IBS [facility] currently has the capacity to produce up to 2,000 apartment units per year. Initially, this facility will be utilised for the Group’s in-house projects,” said Sahak. Ngan also told TheEdgeProperty.com that IBS will be used for Gamuda Gardens’ affordable and high-rise homes. “IBS is not so much about reducing construction cost, but about the long-term benefits and sustainability,” said Ngan. The IBS and BIM technology is known to enhance quality, increase productivity and reduce construction time. This means less reliance on manual labour while creating a pool of skilled workers trained on IBS and BIM technology, thus paving the way forward for the construction industry in Malaysia. Gamuda is constructing the second IBS factory in Banting, which is planned to be ready in the third quarter of 2018.